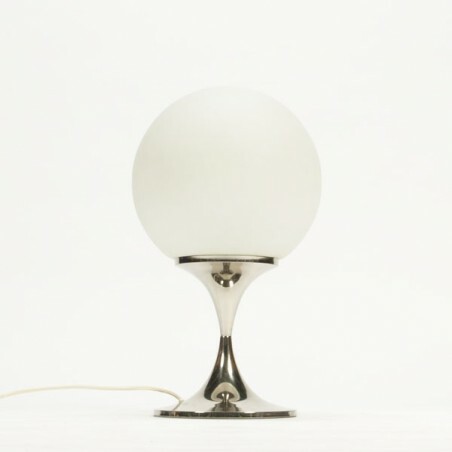 Vintage table lamp from the late sixties/ early seventies. 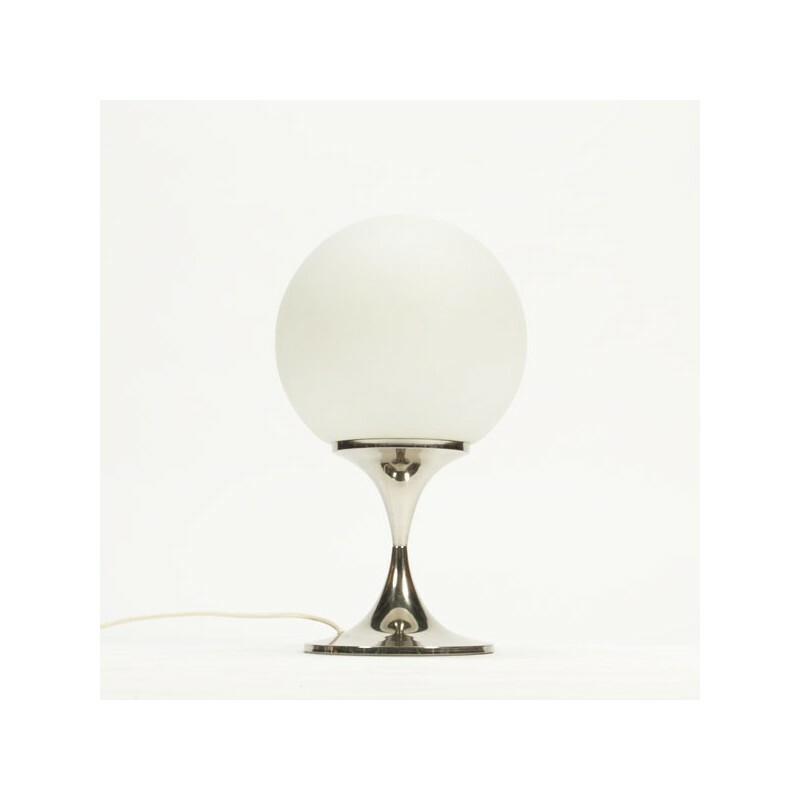 The lamp stands on a chrome base and a has white glass ball as lamp-shade . The condition is good considering the age, see the detailed pictures. The size is 51 cm high and 30 cm in diameter.